If I mention the name Bernie Madoff, what words come to mind? Probably thief, criminal, felon and crook are on the short list. For most people the name Madoff is synonymous with the words “Ponzi scheme”. A Ponzi scheme, named after one of the first mass defrauders Charles Ponzi, is a fraudulent investment operation where returns on someone’s investment are paid by other investors rather than by a real or genuine profit sharing scheme. Ponzi schemes can get pretty intricate but to put the crime in simpler terms, Ponzi schemes are complex forms of theft or embezzlement. So what’s the difference between theft and embezzlement? Embezzlement is a white collar crime, with the person usually stealing from his employer or other investors. Embezzlement is misappropriation of monies that you are entrusted with. For many years the legal system was pretty lenient on white collar crimes such as embezzlement and money laundering, however with the major impact that criminals like Bernie Madoff have had on the economy and thousands of individuals, these crimes are punished more severely today. Listed below are five of the most famous embezzlement cases in the US and the prison sentences that were served. 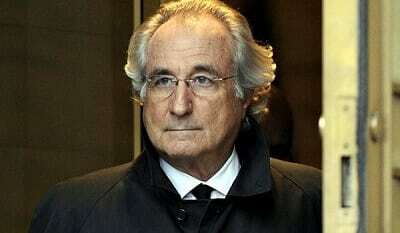 Madoff was arrested in 2008 and the word Ponzi became widespread throughout America. Mr. Madoff was an investment advisor that was found guilty of 11 federal counts of fraud, including securities fraud, investment advisor fraud, false filings and money laundering. Madoff’s Ponzi scheme bilked thousands of investors of an estimated amount of $65 billion. In June 2009, Madoff was sentenced to 150 years in prison. As of March 2014, approximately $5.87 billion has been distributed among the victims of Madoff’s Ponzi scheme. McCauley’s name might not ring a bell but he is the half-brother of famous comedian Dane Cook. Darryl McCauley was also the comedian’s business manager and used his position as both a family member and business man to steal millions of dollars from the star. McCauley plead guilty to 27 counts including larceny, forgery and embezzlement and faces 5-6 years in state prison with 10 years of probation and must make restitution to Dane Cook. In 2008, Omar Siddiqui was the vice president of operations and merchandising for the electronic retailer Fry’s Electronics. Siddiqui set up a dummy company that received illegal kickbacks totaling over $80 million dollars. Siddiqui continued embezzling money to pay off heavy gambling debts to several casinos. Siddiqui was sentenced to 6 years in federal prison and has been ordered to pay $65 million dollars in restitution. Lay was the founder, CEO and chairman of Enron and is infamously known for his role in corporate abuse and accounting fraud with the company which cost shareholders nearly $11 billion dollars. Enron became one of the largest sellers of natural gas, however years of unethical accounting practices resulted in the company filing for bankruptcy. 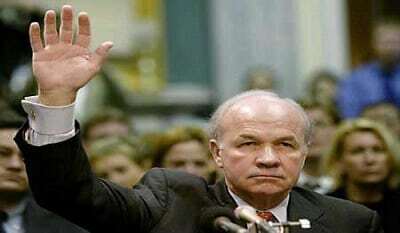 Kenneth Lay was facing up to 45 years in prison plus monetary fines, however he died before sentencing. Once a prominent financier and professional sports sponsor, Stanford was the owner and CEO of the Stanford Financial Group of Companies. The SEC launched an investigation in early 2009 to find that a massive ongoing fraud involving over a $8 billion dollar Ponzi scheme. 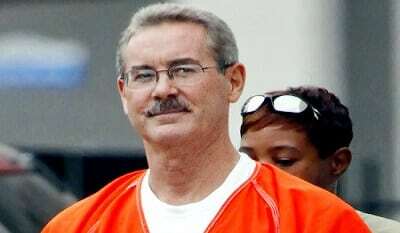 Allen Stanford was charged by the SEC and ultimately convicted of fraud and numerous violation of US securities law. Stanford is currently serving a 110 year prison sentence. Unfortunately, the restitution and the funds may never get back to the victims in some of these cases. The ripple effect of these crimes are vast and far reaching. The government and trustees in these cases continue to try to find hidden funds, and find hidden assets that can be repaid to the victims of these crimes. This post was provided by: – Adam H. Rosenblum of The Rosenblum Law Firm is an embezzlement attorney practicing in both New York and New Jersey.